Summary: In order to further promote the cooperation between Jining City and Wanzhou District in the business field, strengthen business exchanges between the two places, and accelerate market integration and cooperation, Jining City Bureau of Commerce and Wanzhou District Business Bureau hold Jining-Wanzhou business counterpart cooperation activities. In order to further promote the cooperation between Jining City and Wanzhou District in the business field, strengthen business exchanges between the two places, and accelerate market integration and cooperation, Jining City Bureau of Commerce and Wanzhou District Business Bureau hold Jining-Wanzhou business counterpart cooperation activities. On December 24th, Deputy Director of the Wanzhou district Business Bureau Luoyun, accompaniey by Member of the Party Committee of Wanzhou District Development and Reform Commission (Jining cadre) Cao Haicheng, Dean of the Comprehensive Administrative Law Enforcement Detachment of Jining City Sun Chunlei, Deputy Director of the Market Order Office Tian Bin, Chief of Electronic Commerce Xu Guoming, visited the China Transport. Executive Deputy General Manager of China Transport Li Zhenbo, Deputy Secretary of The Party Committee Guan Chenghui, Office Director Zhu Kun, and other leaders accompanied the reception. 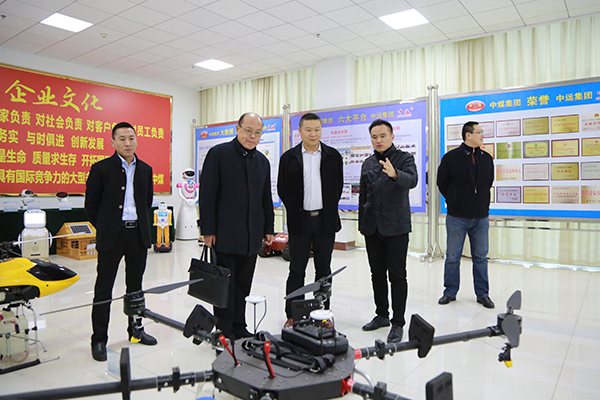 The visiting leaders and the delegation visited the China Transport Group Corporate Culture Exhibition Hall, Smart Product Showroom, Network Information Company, Software Technology Company, Cross-Border E-Commerce Company, China Transport E-commerce Company, China Transportation Group E-commerce Company, etc. accompanied by Mr.Li. 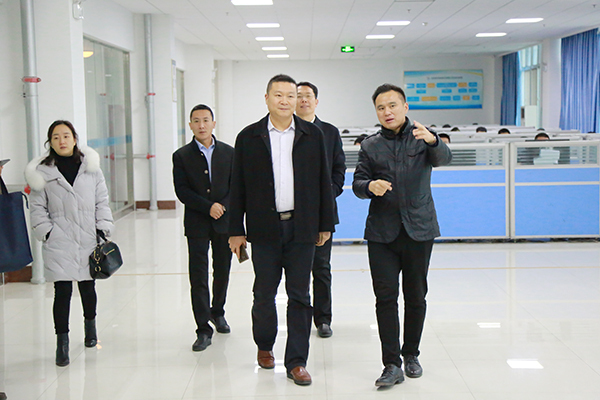 During the visit, Executive Deputy General Manager of the Group and General Manager of the E-Commerce Company Li Zhenbo, made a detailed report on the development of the Group's new and old kinetic energy conversion through e-commerce. He focused on the positive exploration and efforts of our group in the fields of cross-border e-commerce, agricultural e-commerce, intelligent equipment manufacturing, new industries, which was fully affirmed by the visiting leaders. In recent years, Shandong China Transport has actively responded to the country's efforts to accelerate the deployment of new and old kinetic energy major strategic deployments, and fully promote enterprise transformation and upgrading. Group successfully transformed from a traditional sales model to a modern e-commerce sales model, becoming the benchmark for the successful transformation of traditional enterprises through the e-commerce information industry. It has been at the forefront of many companies in the innovation and development of national integration, and has been highly praised by national leaders. At the same time, our group actively responds to the national “Belt and Road” development strategy, has exported agricultural products to Russia, Malaysia, Indonesia, Central Asia, Southeast Asia and other countries and regions through the self-developed large-scale agricultural e-commerce public service platform - China Agricultural Network, and has made positive contributions to the development of the national “Belt and Road”! Mr.Li said that the poverty alleviation and cooperation in Wanzhou District is a major political task of the city. 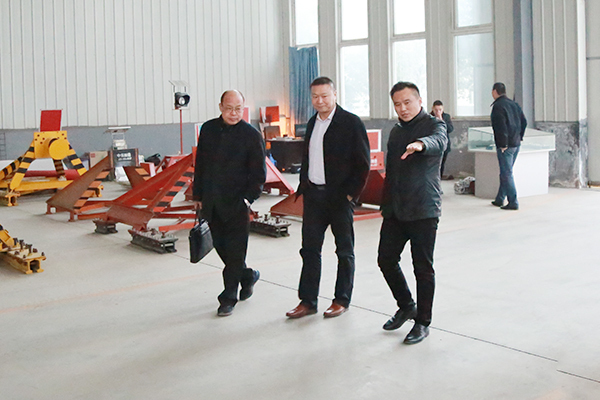 As a large-scale company with social responsibility, China Transport is willing to take advantage of the cooperation of counterparts, and share more resources with more Wanzhou Distric enterprises and develop together, and make due contributions to promoting the cooperation between Jining City and Wanzhou District in the business field and accelerating the integration and cooperation of the two markets!